The Pamlico Writers Group is thrilled to announce the upcoming release of our 2016 anthology of short stories and poems written by our members with a section of award winning prose and poetry from our 2015 and 2016 competition winners. A Carolina Christmas isn’t your traditional holiday feast of tinsel and sugar plums. 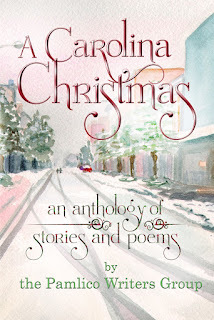 While there is still a smattering of stars sprinkled through the pages and a little glitter and artificial snow lighting up a few plastic Santas, these stories are filled with more than ornaments and figgy pudding. From broken hearts to hopeful reunions, holiday anxiety to joyful tidings, the truest gift of Christmas is still found to be family, faith and friendship. But these stories are not fairy tales and every holiday is not Peace on Earth. 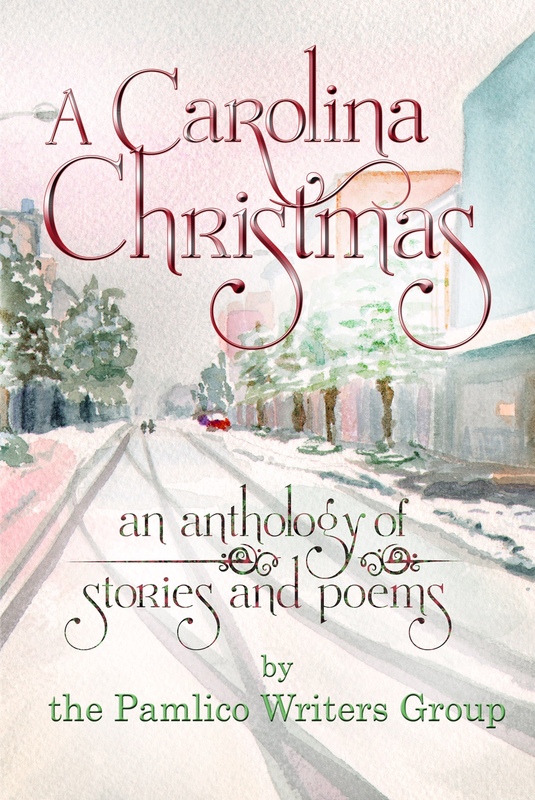 “A Carolina Christmas establishes itself as a holiday classic, a must read. The journey isn’t your typical holiday adventure.” ~Angela Beach Silverthorne, author of Depression Cookies, two-time silver medalist in Women’s Fiction and Chick Lit for Readers’ Favorite and Cries of Innocence, a five-star Contemporary Christian Fiction. 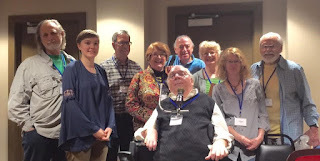 The Pamlico Writers Group is from the Innerbanks of North Carolina, where the Tar and the Pamlico rivers meet in the town of little Washington. They’re housed just off the river in the old Turnage Theater, the oldest still-standing Burlesque Theater House still standing in North Carolina and home of the Arts of the Pamlico. The Pamlico Writers are a non-profit group and we affiliated with the Arts of the Pamlico. The Turnage Theater stands on Main Street just one street over from the waterfront. The town of Washington is on the Inner Banks of North Carolina, where the Tar and Pamlico Rivers meet, just down the sound from the Atlantic Ocean. Forestry, watermen, and Military history are abundant in Washington and Beaufort County. The Pamlico Writers Group hopes to use the funds generated by this anthology to assist in this, our fifth annual Pamlico Writers Conference March 17 and 18, 2017 with Keynote speaker Zelda Lockhart. Pamlico Writers Competition is an annual juried writing contest featuring adult and student authors. 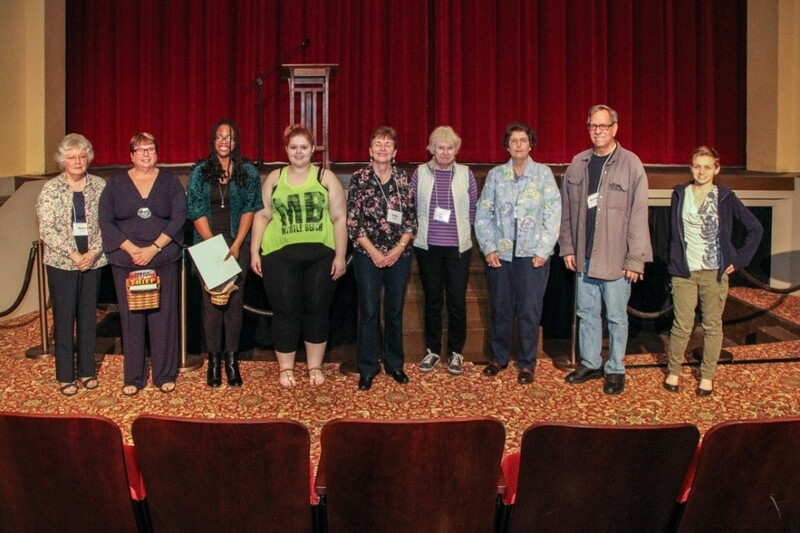 Started in 2013, the current event featured adult contests in Fiction, Nonfiction, Poetry, and student contests in Prose and Poetry. First, Second, and Honorary Mention Cash Prizes were awarded in the Adult competition while a cash student scholarship was awarded in each student contest. 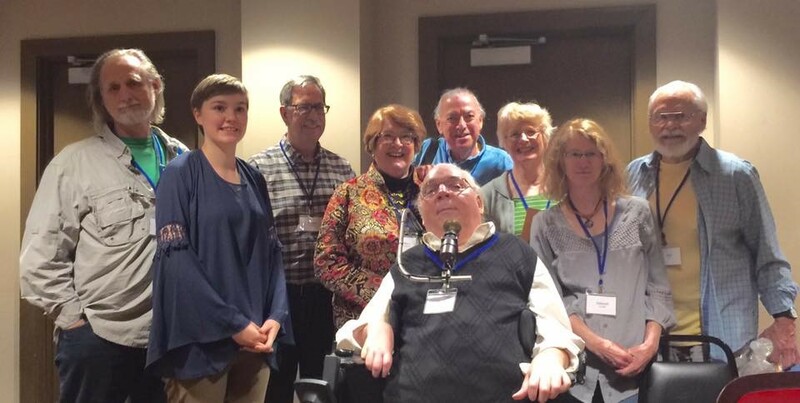 (L to R) Nancy Clark, Alison Stuart, Kayla Wyrick, Courtney Staton, Polly Frank, Diane De Echeandia, Debra Kornegay, Michael Worthington, Anne Blythe Davis.